Kyoto Filmmakers Lab invites applications for its 2017 edition of programmes. The purpose is sharing diversity and making network for young filmmakers. In the nine-year history of Kyoto Filmmakers Lab, a total of 210 participants from 45 countries, selected from 1, 002 applicants from 94 countries have experienced Kyoto Filmmakers Lab workshops and collaborate with each other in Kyoto. 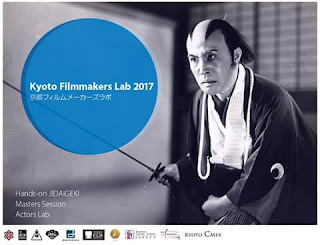 Since 2015, Kyoto Filmmakers Lab in collaboration with the Tokyo International Film Festival (TIFF), the largest film festival in Japan has been delivering edgy lectures, in addition to its signature Jidaigeki making workshop. This year, 2017, Kyoto Filmmakers Lab will open “Actors Lab” for young actors/actresses in Japan. “Actors Lab” will provide lectures of traditional style of acting, behavior and manner. The participants can also communicate with young filmmakers from all over the world. This programme will provide a meaningful opportunity for aspiring filmmakers in this world of ever-changing visual arts. Applications will be accepted until 17th September, 2017. 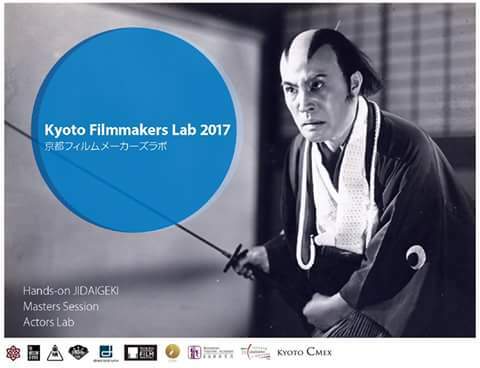 Kyoto Filmmakers Lab looks forward to seeing you in KYOTO in 2017. Interested applicants should click here for details and application procedures.